Meaning of“玲瓏馥郁（reihoufukuiku）”is shine like transparent, and drifting smell good. Doing this in the belief.Water is important thing in brewing. Pumped the natural water from two a well dug in about 400 years ago, we have used.This natural water used for the charged water, tap water is not used at all. Land Iwamura town is blessed with very water. In the basement layer that is a bedrock has flows incessantly clean water. The time of brewing, it may well water is empty, but if you after 3 hours, will be restored. 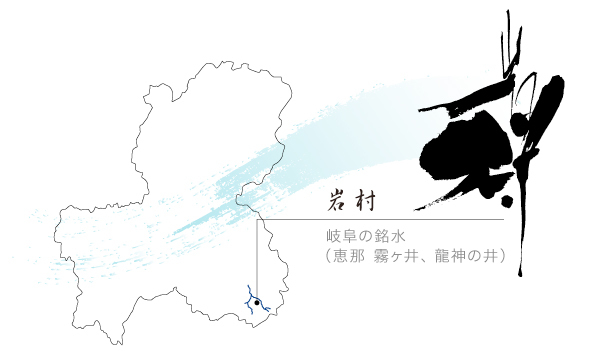 In addition, in the most appropriate water to the natural water is brewing, high technology and good quality of the water quality of the master brewer will exudes exquisite taste in sake. 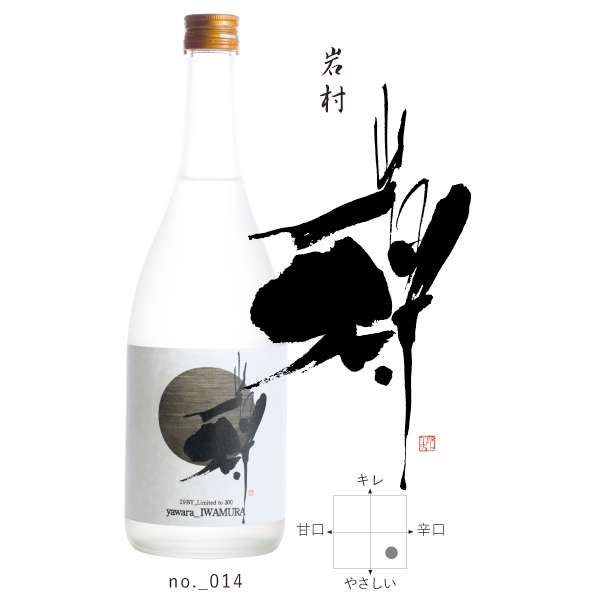 Skilled “toji”（toji=Sake making craftsman） Made by hand, we are using the local Gifu Rice, which the producers can see. Do not use tap water at all, we are using natural water (groundwater of 50 water of Gifu Prefecture). The brewery was founded in 1787 and at that time was the trucking business of the Iwamura clan, and the brewing industry was on the sideline. In the Meiji era, the disappearance of the Iwamura clan became the main occupation of liquor, established a corporation in Taisho 10, at the same time, miso, soy sauce, mirin, shochu, etc. were also built. However, after the war, I have made sake as a specialized manufacturer of Japanese sake. Although the amount of snow is small in Iwamura town, in January and February, it is very cold and the steam rises when the water is put out well -15 days below ℃ will continue for days. Even in the summer, the brewery's temperature is ℃ below 20, making it the perfect environment for Japan liquor and sake storage. Even under such a privileged environment, the taste of sake to be different every year.